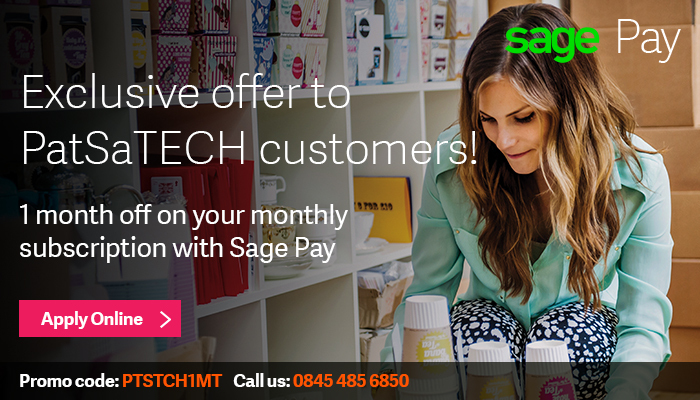 PatSaTECH customers signing up to Sage Pay can now get 1 month off the Sage Pay monthly subscription! Offer valid until 01/01/2016 . Click Apply Online Now! to Sign Up.